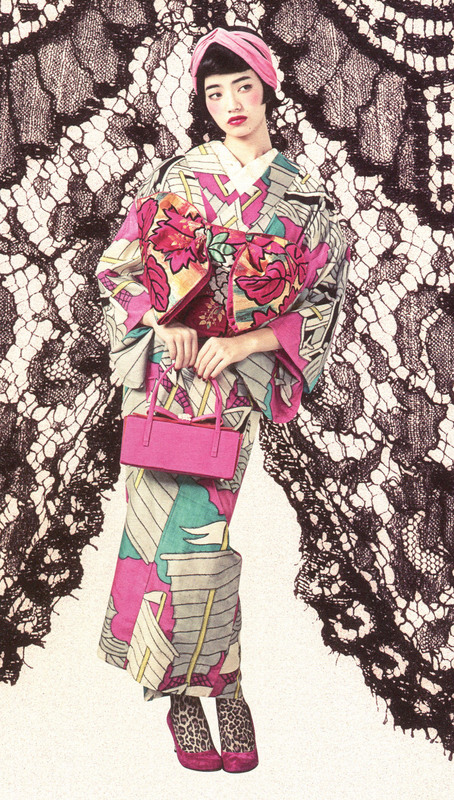 So, check out one of my all-time favorite Japanese fashion trends – the Kimono Princess! 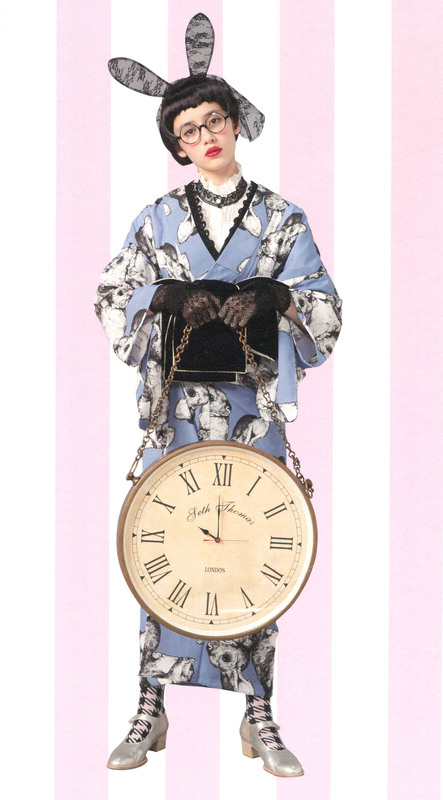 A true Kimono Princess uses every accessory – shoes, sox, purse, wrap, hat – to flaunt convention in some subtle way. 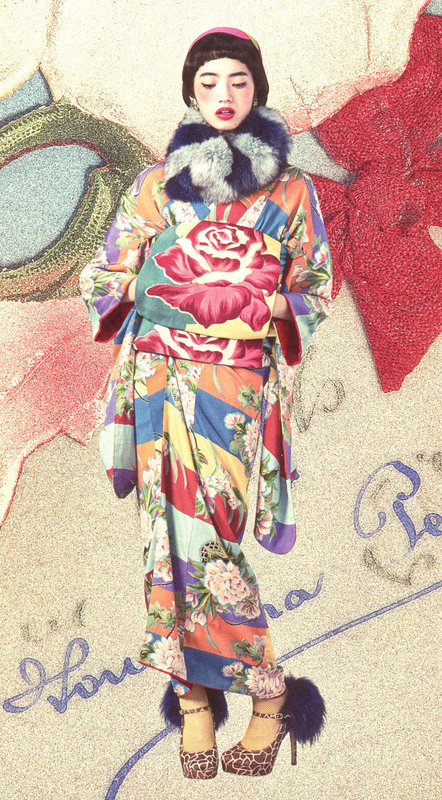 So, how do you build your very own Kimono Princess look? First of all, you can toss seasonal designs and colors right out the window. Pink for cherry blossom season? So 10th century…unless it’s the kimono LINING! And bring on the jewelry! The reason rings, necklaces and pins weren’t usually worn with kimono is that the fabrics were often more costly than jewels and nobody wanted to risk getting a snag or AI YI YI putting a HOLE in the precious material. But because most Princess Style kimonos are inexpensive cotton or vintage, cheap costume jewelry – and lots of it! – is totally safe to wear. Raid your closet and layer on some frilly Western pieces & excellent hats to add a little spice. Uh oh, obi tied in the front? This is sure to bring a gloved hand to grandma’s lips to hide her shock at your resemblance to an oiran of the pleasure quarters! Or really fling every convention to the wind, and change the length too. 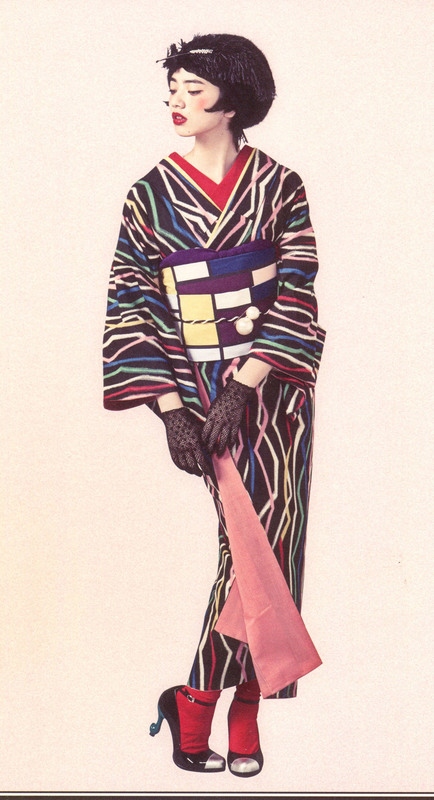 As you’ve probably guessed, I actually love kimono in all its forms. But because I look too much like Barbie (and am not AWESOME like my fellow blogger who writes Yield For Kimono), I’d feel like a hopeless wannabe if I ever tried to un-ironically wear one. 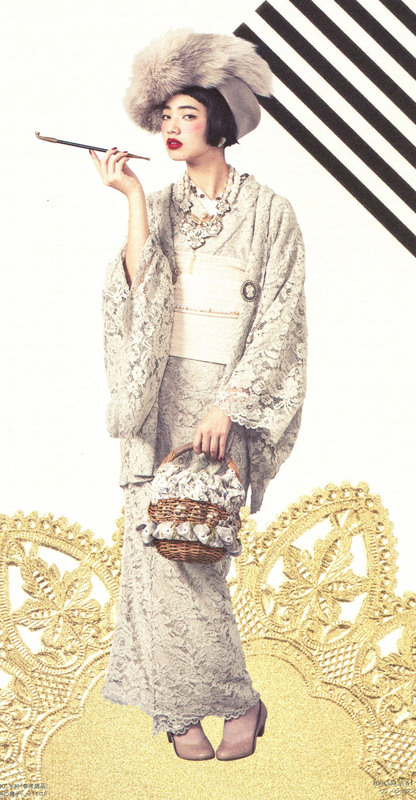 Kimono hime style, though…even someone like me might be able to rock that, don’t you think? 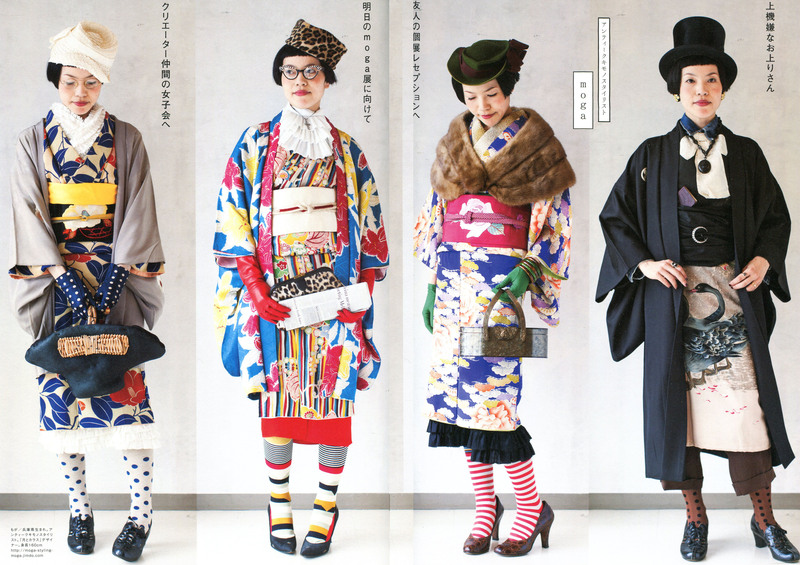 Thanks to Kimono Hime magazine (#12) for the gorgeous new style kimono photos, and きものサロン magazine for the modern photo. 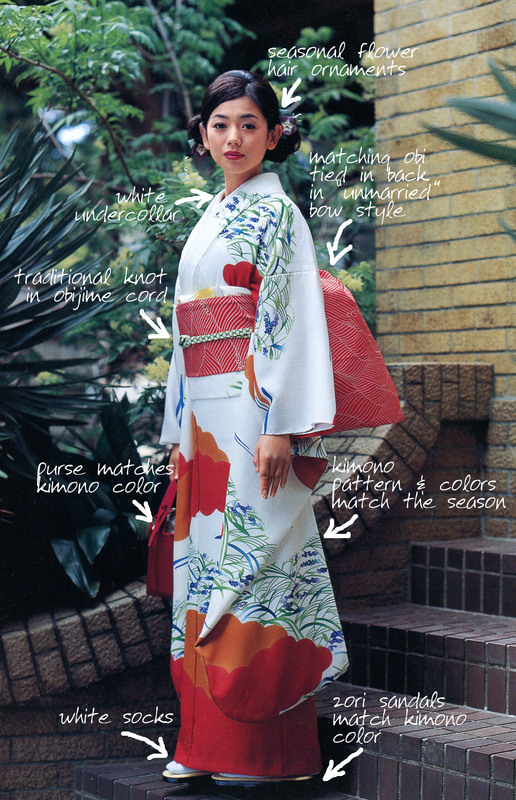 This is the hime-style kimono worn by part time English translator Yumi Hata in Nightshade. 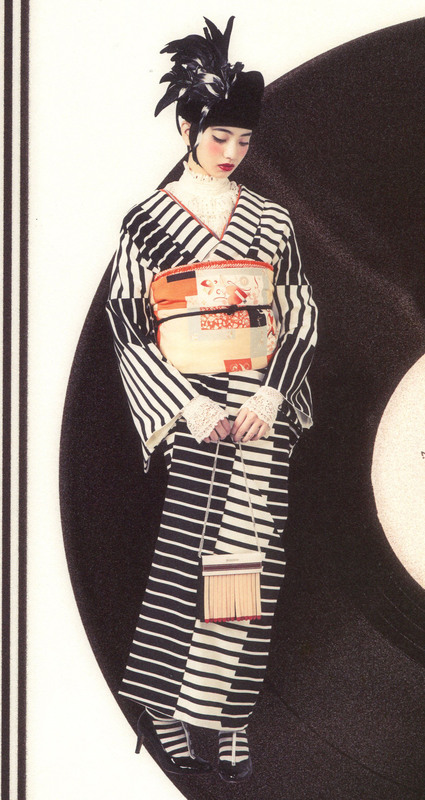 Jonelle, I had never heard of kimono hime but totally adore them! Especially the white lace one. Is that first one (gasp!) a bunny print? Yes, bunny print! There were some really cute cat ones too, but I think I’ll save those for another post. And I looooove this magazine – they stopped publishing for a long time, and I had to just buy up back copies whenever I found them, but I think they’re back in business! FYI, the email notifications of your posts have gone kind of hinky–huge blank spaces with the link hard to find. Thought you’d want to know. It’s all of them recently and I don’t think it’s because of the photos. They don’t load in the email version. Sometimes I think the interwebs ghosts are out to get us! I love these! What an eyeful! post some pics! I sometime wear haori they are easier to match with european clothes but it’s till too cold in Paris. 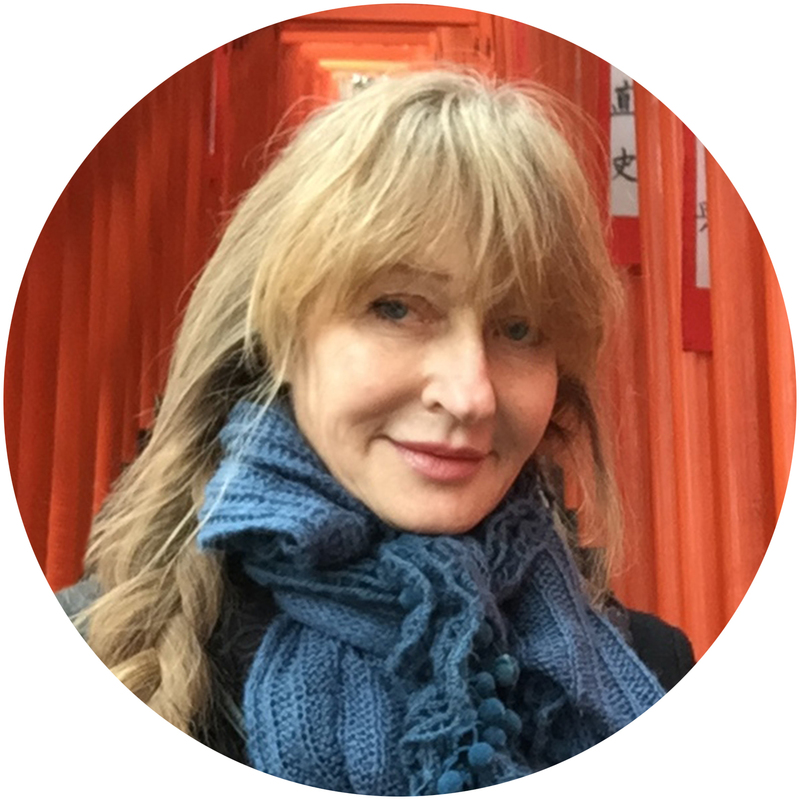 Ah, this post is awesome, and about one of my favorite subjects! I’m really glad that KimonoHime is back in print. 😀 (And thanks so much for the shoutout!) I LOVE hime-style. It’s super-versatile and allows for so much customization. 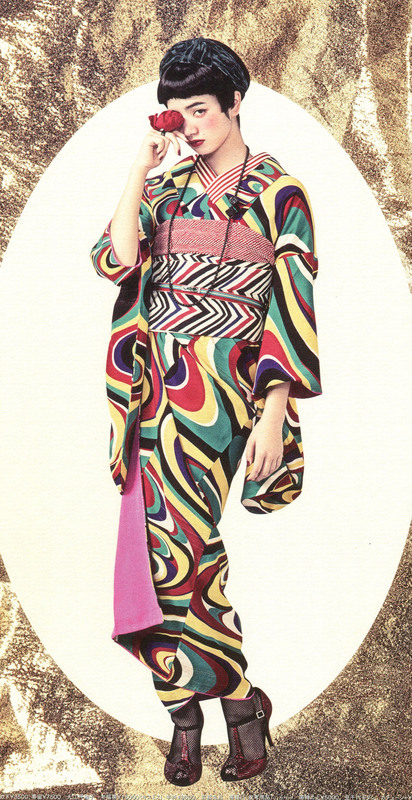 And I am of the opinion that kimono suits everyone, you know, so you can definitely rock it. 😉 Please do try it! You should definitely wear it to hanami! Perfect time, I think! There will probably be others in kimono too, so you won’t be alone. 🙂 I’ve got a few planned kimono outings coming up myself…gonna go on a cruise tomorrow with my KDJ group, then to sakura matsuri in a few weeks as well! And thanks! It’s a mutual admiration, I enjoy reading about your adventures and finds! The Kimono Hime (Or Kimono Michi as it was called back then) was actually the first mook I bought in Japan! This brings back memories. Being a stylist for that mook is about as cool as you can get among kimono stylists right now. Due to the complexity in putting these outfits together you still almost never see them in the wild though. It is a shame! It looks so sweet. I think so too! I have always loved that wearing kimono is about the whole assembly of colors and patterns and motifs, not just stepping into a readymade thing and zipping it up. It takes a real eye to put so many different pieces together, especially because tossing the usual rules out the window makes it harder, not easier! Really like this style! Too bad all the kimono I like are so expensive..
That’s true, but somehow I only like the more expensive ones haha. Because I feel like in the cheap ones the design would make me feel like playing ”dressing up”. I think it’s because those designs are too traditional/flowery for me. I know, right? Anything goes! Soooo refreshing.